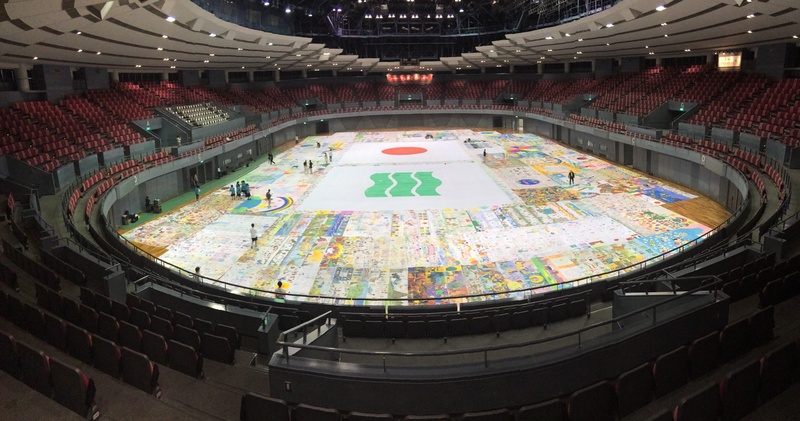 The Biggest Painting in the World 2020 Ebetsu City was completed at Ebetsu chuo Primary School in Ebetsu City, Hokkaido Prefecture. 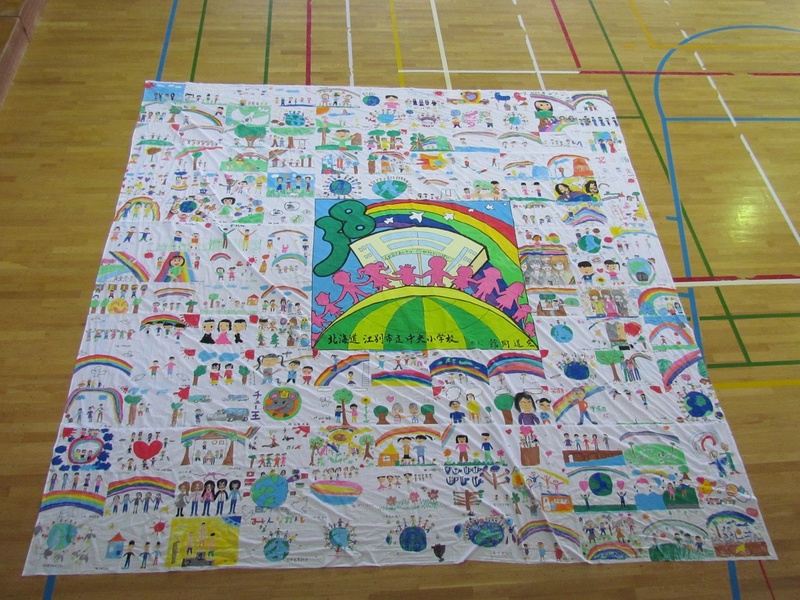 Had the Biggest Painting in the World painted at Chuo Primary School of Ebetsu City, Hokkaido, by 100 volunteer participants from the school. Two more painting events are planned. The pupils had made under-drawing at home with the themes of future, dream, hope and smile, and painted them on the pieces of cloth with great care. 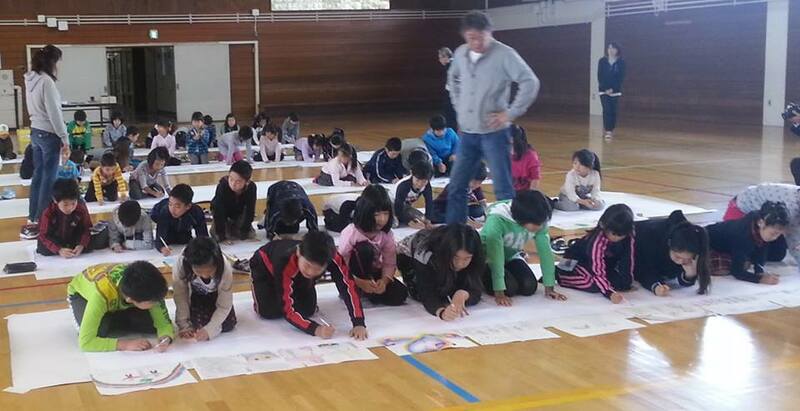 handed the cloth of the Biggest Painting in the World to the Ebetsu City Chuou Elementary School. 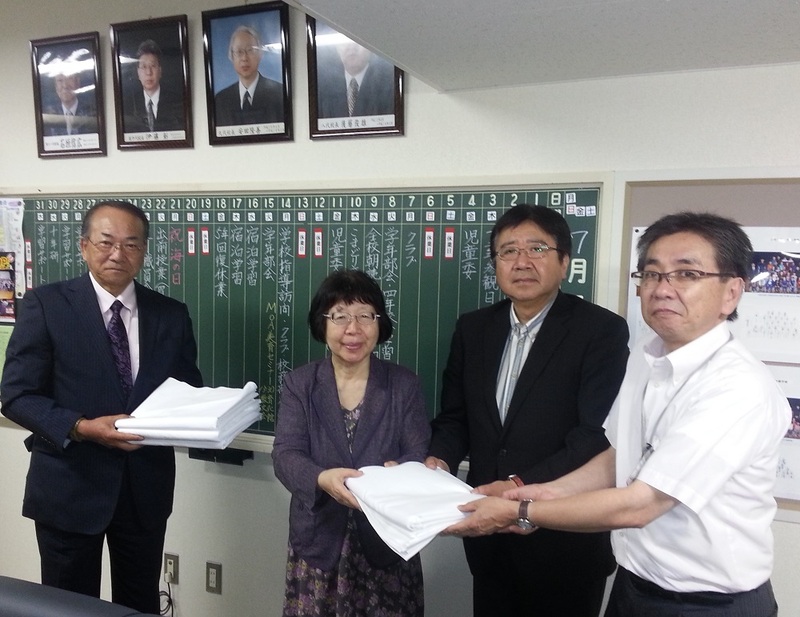 By guidance of Mr. Sato, a representative of Hokkaido of the Biggest Painting in the World, I handed the cloth of the Biggest Painting in the World to the Ebetsu City Chuou Elementary School.